Gina Simms is a former Radio City Rockette and Miss Nevada having competed in both the Miss USA and Miss America pageants. Today she is “The Crown Coach” and has developed a platform to nurture and teach girls empowering strategies that will help them build confidence and self-esteem. I met Gina through Howard Fine, the master acting coach behind The Howard Fine Acting Studio. 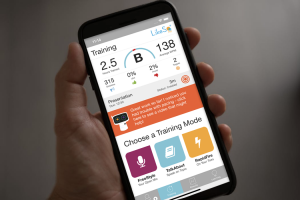 Apparently, Howard encourages his students to use my speech app, LikeSo: Your Personal Speech Coach (thank you, Howard!). When Gina revealed that she was “The Crown Coach,” I knew I wanted to interview her too. With so much to talk about (including how she won the Price is Right “Showcase Showdown”! ), and so many questions, here are the highlights of our conversation including Gina’s coaching techniques, what judges are looking for, and how an app that we could put in every young woman’s back pocket could help answer the easy and hard questions. How do the young women train for the interview question part of the competition? This differs for each girl. Some ladies have pageant coaches, some only work with their director. Every girl is watching the news and reading up on current events. They all know their political leaders and many have lobbied Congress understanding their voice makes a difference. In my own “The Crown Coach” practice, I instruct girls on how to master the interview, have an ease with onstage questions, walk with purpose, get talent ready, be your best in wardrobe and makeup, and have the proper winning etiquette. What are the judges looking for specifically in the question portion? Judges are looking for a girl who has an opinion and can speak clearly and make the room feel comfortable. Many girls look as if they are walking into the principal’s office terrified, or the other extreme too relaxed and not specific or substantive. It’s hard to say exactly what they are looking for, but when the girls walk into the room it’s usually very clear who the winner is before they even open their mouths. Nonverbal behavior is important too. Now that Gretchen Carlson, TV commentator, former Miss America and the new chairwoman of the Miss America Organization, wants Miss America 2.0 to be all about empowering women, what goes into the coaching that involves teaching leadership skills and communication? Most all girls have a competent director helping them iron out what they really want to focus on for their year and they find speaking engagements to attend throughout their reign. At a national level, the state winners are already very competent in communication and leadership, as each girl has had to champion her cause of choice from the local level (winning that) to the state level (winning that), and then on the nationals. For the competitions, what percentage of the score is based on the questions? I read that 50% is based on talent for Miss America and that many of the girls are, understandable, daunted by the interviews. This has changed in years past. The show has also changed. Every girl competes at preliminaries and has a personal interview scoring is different depending on the year. During the Finals, there could be a Top 10 or a Top 15. That is then broken down to the Top 5 or Top 3 where another answer is selected. From there they could have an audience favorite that received the most likes/shares or money donated to the foundation of choice. 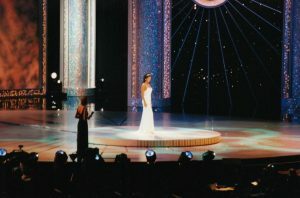 Each system tries new ideas and spices up the pageant each year. What was your question when you won Miss Nevada? What would a speech training tool that you could put into every young women’s hands look like? What content would be included? I love the LikeSo app and use it myself! Girls need to really take time to think about who they are and how they think about answering tough questions. Instead of immediately answering (not just thinking about) questions, they need to that be capable of answering with substance and personality while at the same time, getting their points across. They need to practice and a speech training tool that is both fun and effective would be hugely helpful. I think uploading some pageant questions would be ideal in the LikeSo PRO app. I notice girls I work with are usually better answering tough questions, but when it comes to silly questions, like, “Tell me a joke,” or “What’s your favorite sports team?”- they instantly choke. Okay, now for the big question! How did you win The Price is Right “Showcase Showdown”? I went to CBS for a live taping with my friends. I had NEVER seen the show before. Did I grow up under a rock? The producer asked each person why they came to the show and I said I was there to meet a Bob Barker. I was the very first person called to “Come on down!” I caught on fast, won getting up on stage and then the big spin which put me in the final. For the final round, I asked the audience for help and won the whole thing. It was a fun day!